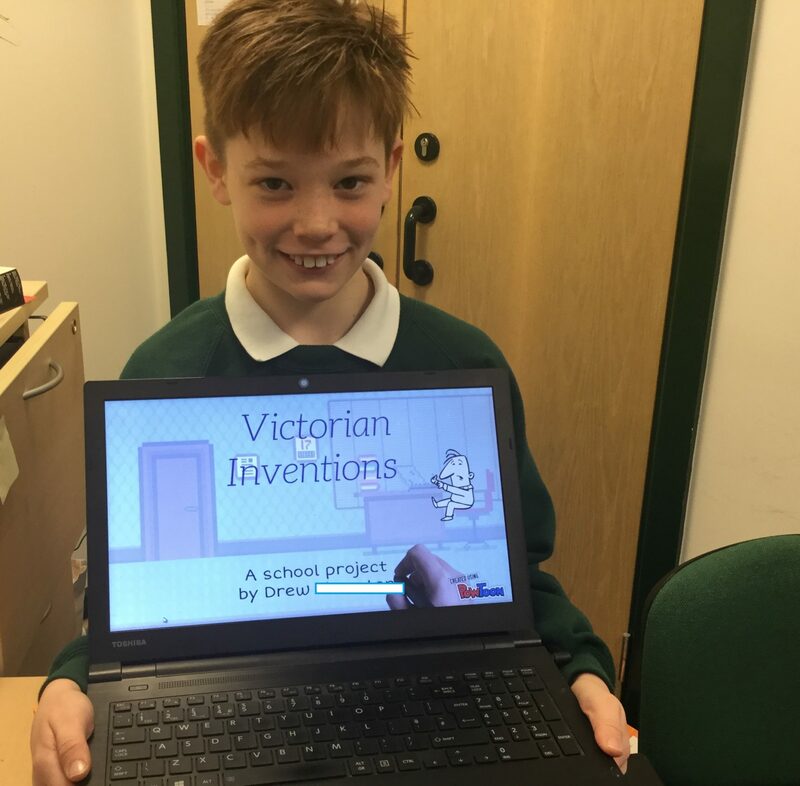 Year 5 have responded with great enthusiasm to the open ended challenge their teachers set them- to research Victorian inventors and inventions and present their findings creatively through a medium of their choice. 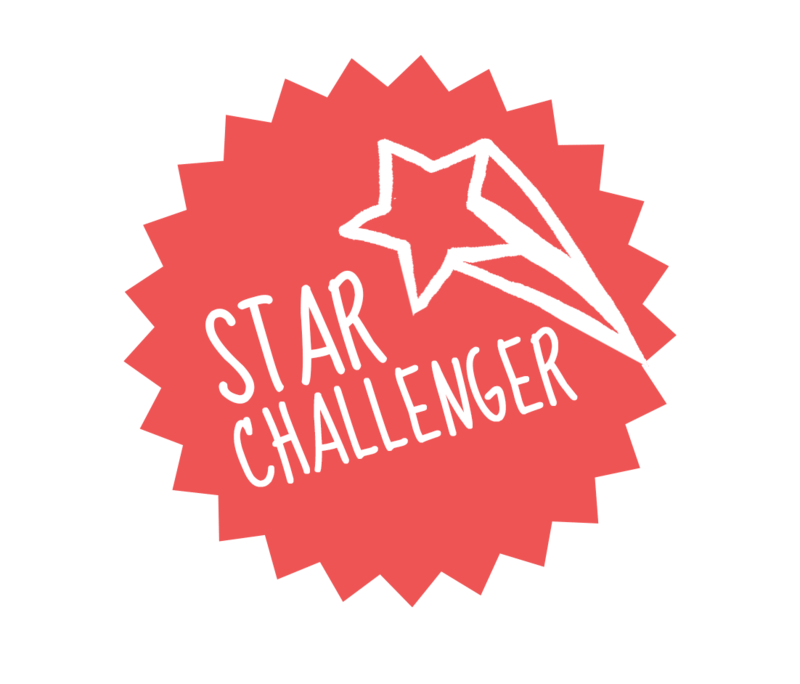 These children have been chosen for star work because of the originality, creativity and level of detail within their projects. 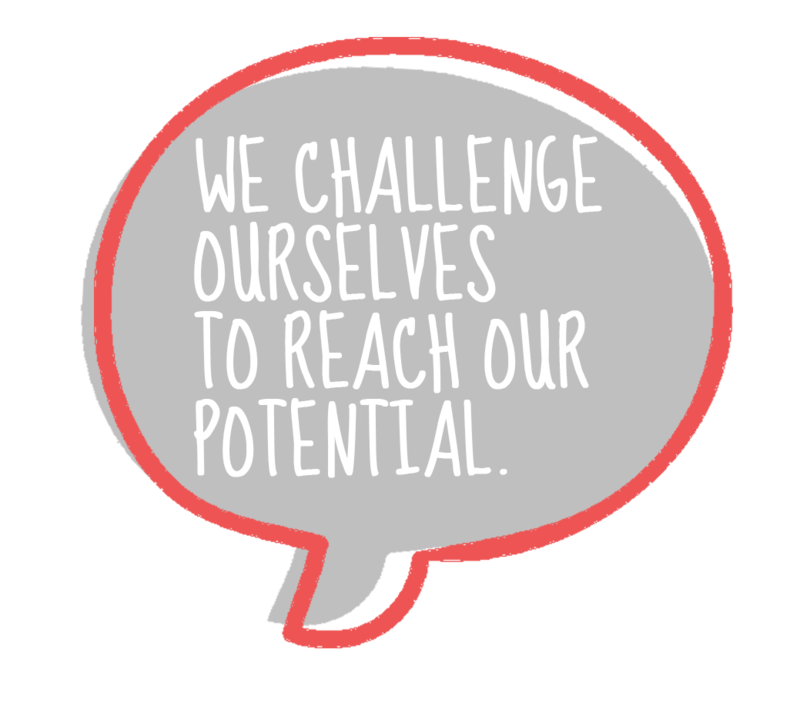 Drew created an animated ‘Powtoon’ presentation which was very engaging and informative. 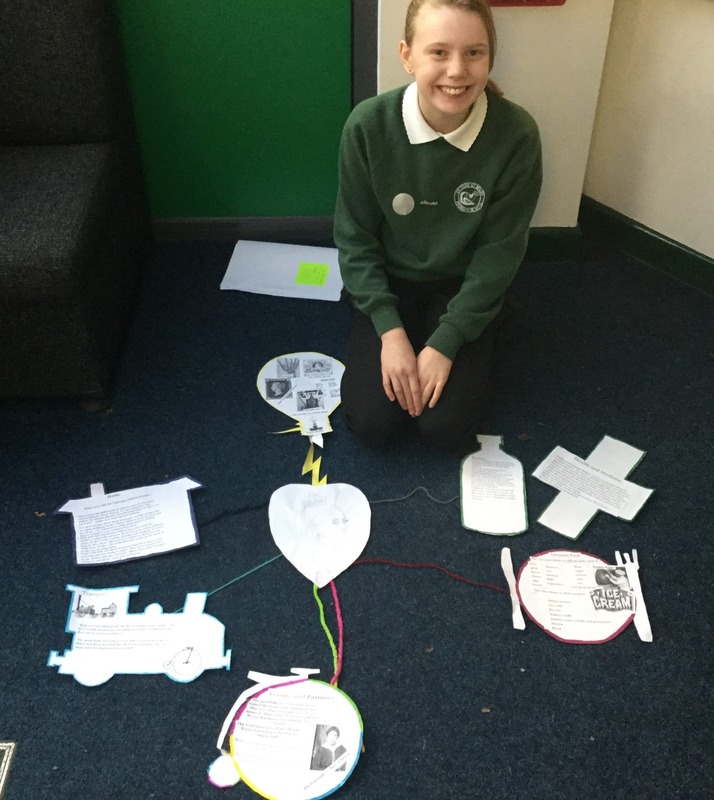 Bella created an interesting ‘mind map’ of Victorian life. 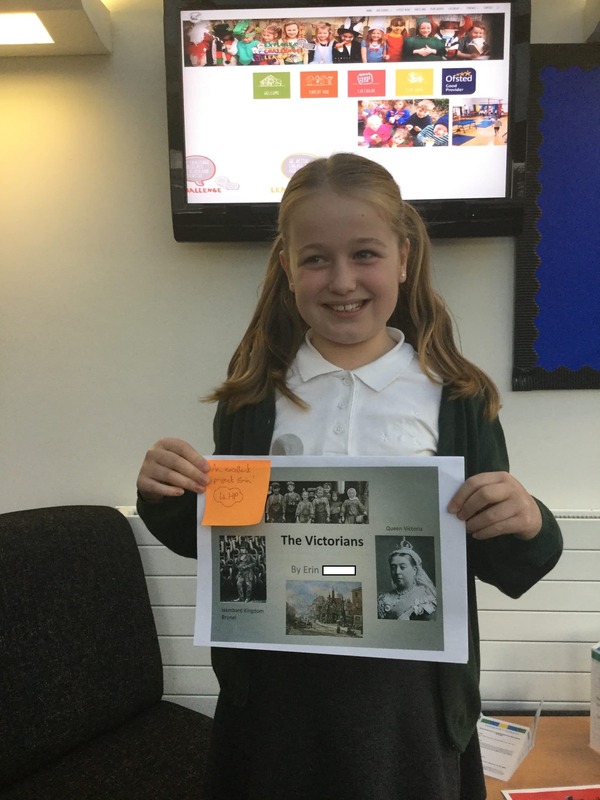 James and Erin both produced powerpoint presentations with excellent attention to detail. 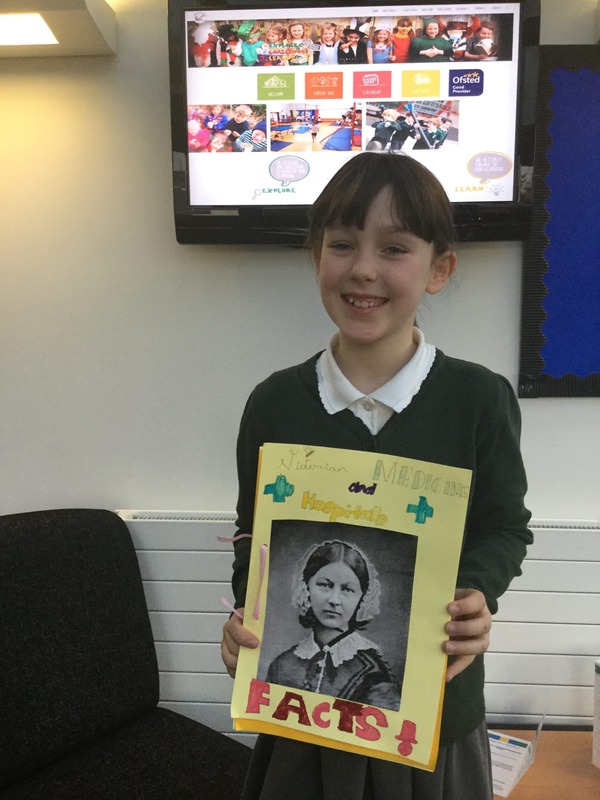 Poppy made an excellent fact book all about the development of Victorian health and medicine. 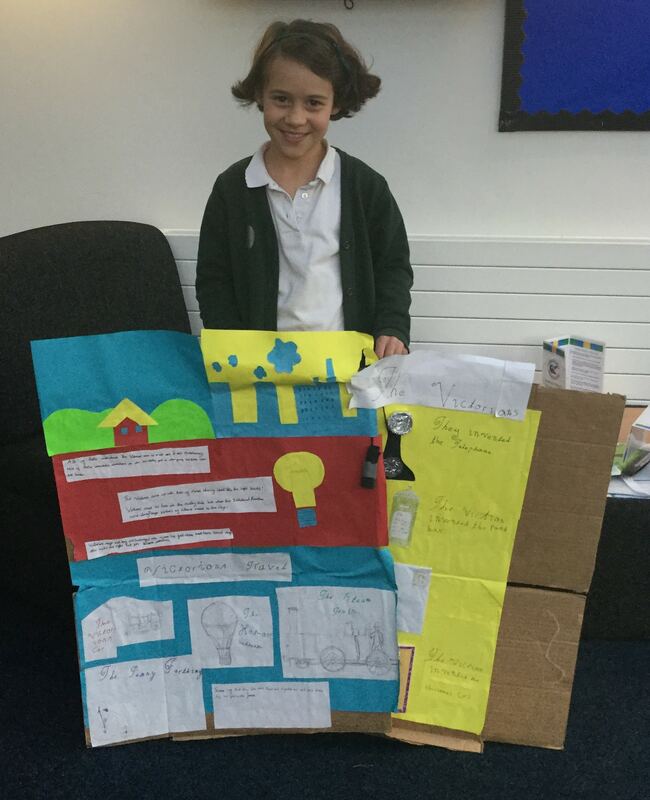 Eve created a huge interactive poster. 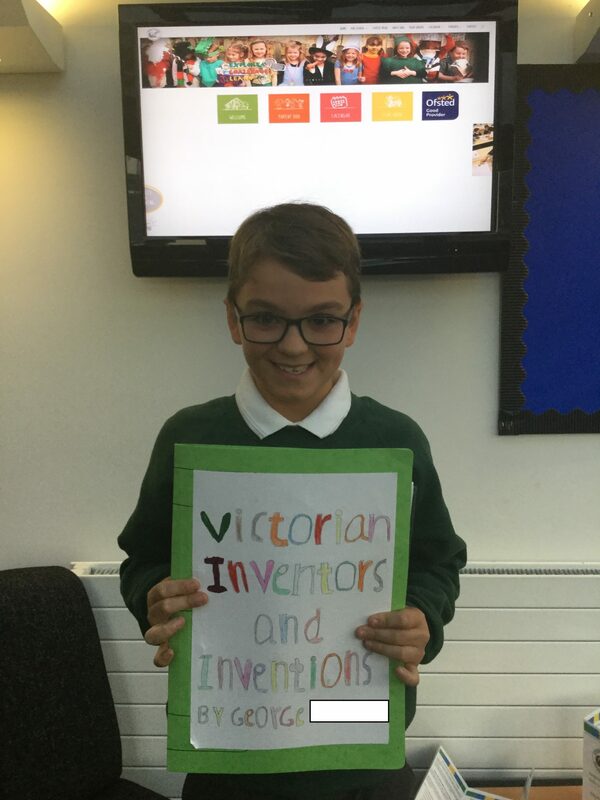 George made a fantastic scrap book containing a range of inventions and inventors.